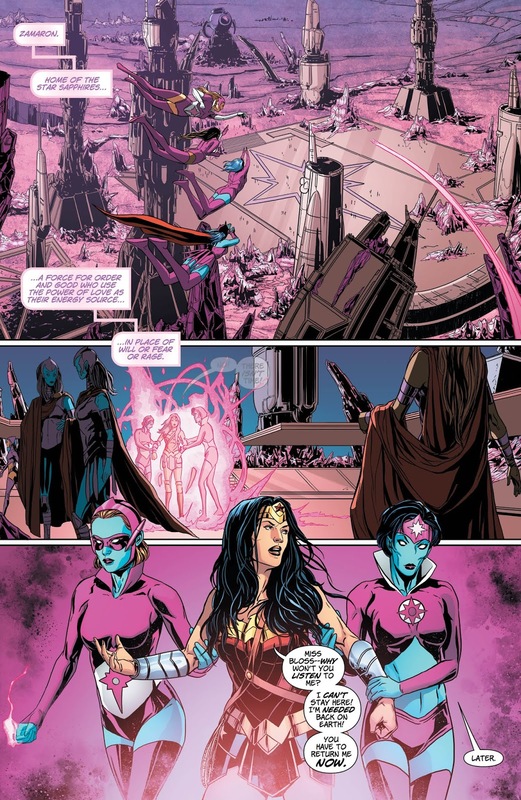 Man, was I surprised when all of a sudden in the beginning of our big fight between Wonder Woman and her brother Jason against the Dark Gods that a couple Star Sapphires came out of nowhere and whisked our hero away to Zamoran to deal with a different problem. Well, as surprised as I was, at least after reading this I can say that it's not out of nowhere. 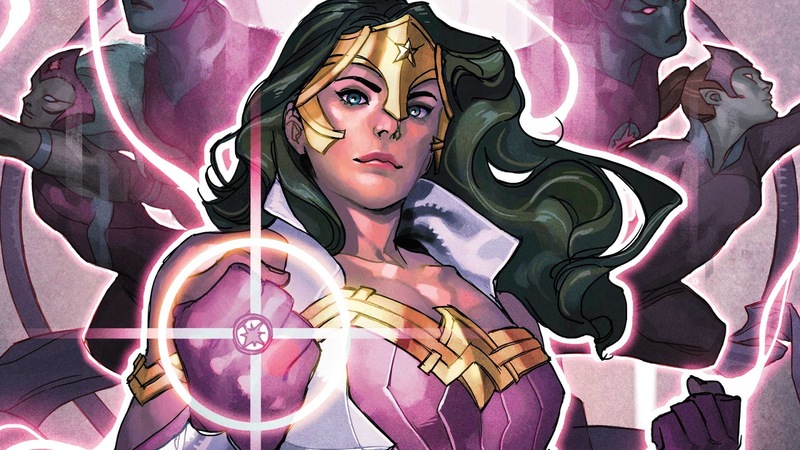 Let's jump into this issue and see how the Star Sapphires figure in with the Dark Gods. Let's check it out. 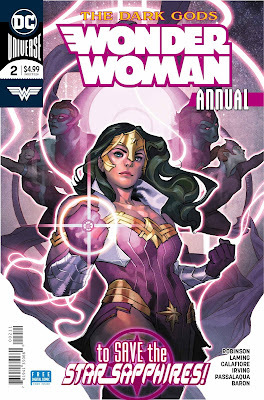 While this Annual makes a bit of sense in how it deals with the Dark Gods and just doesn't abruptly take us out of our story at hand, what it is though is a bloated fight that by the end, doesn't feel like it was really needed. Yeah, it does its best to try and make sense out of the whole "wish for a better universe" bit that we had at the end of Metal, that led to the Source Wall breaking and us getting our Dark God antagonists, but the explanation about where the Dark Gods come from just doesn't really make a lot of sense to me for how things were spelled out in Metal, but then again......... a lot of that story in general didn't make a lot of sense within itself so maybe this explanation isn't too far removed. All in all though, the art in this issue is pretty incredible and while we do get a bunch of artists here, each one brings something special to this issue. It's just that the overall story doesn't do that much but throw out a overblown explanation that just kind of kills any enthusiasm that the initial feel of this issue created. 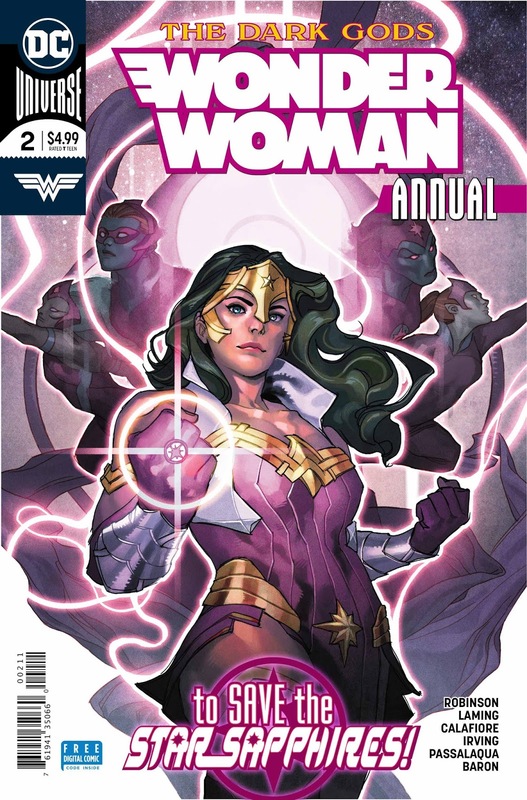 While this Annual doesn't put on the brakes to our Dark Gods story like I feared it would, what it does though is pad out an over sized issue that barely feels like it was needed in the first place, especially since the explanation behind our antagonists doesn't exactly make sense to me. 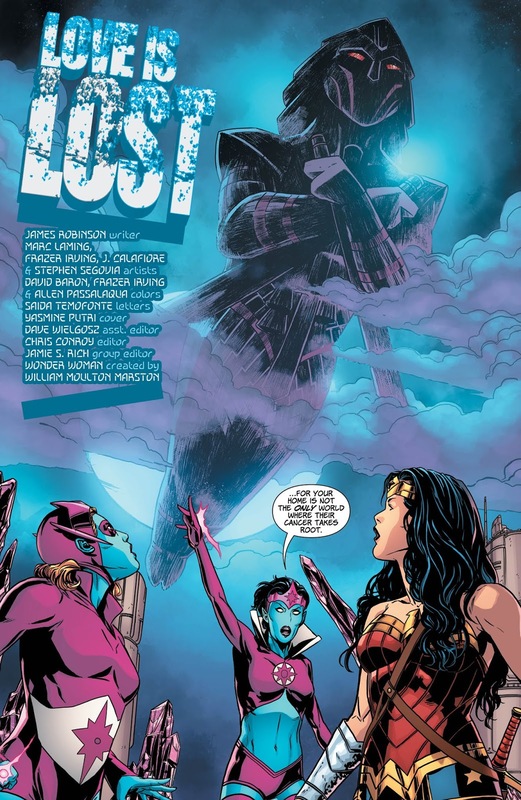 The art in this issue was great, but the story was lacking.